Photographer and director Neil Krug‘s video for Bonobo track Break Apart features some stunning overhead shots of the Californian desert captured using drones. 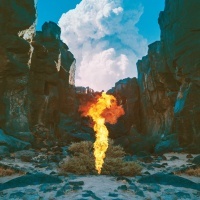 The single is the second from Bonobo‘s sixth album, Migration, out next month on Ninja Tune. The previous video for track Kerala featured actress Gemma Arterton. Krug, who has worked with Lana Del Rey and Boards of Canada, used drones to shoot places that inspired Bonobo (Simon Green) while writing the album. Mysterious lights and dark plumes of smoke create an otherwordly feel.